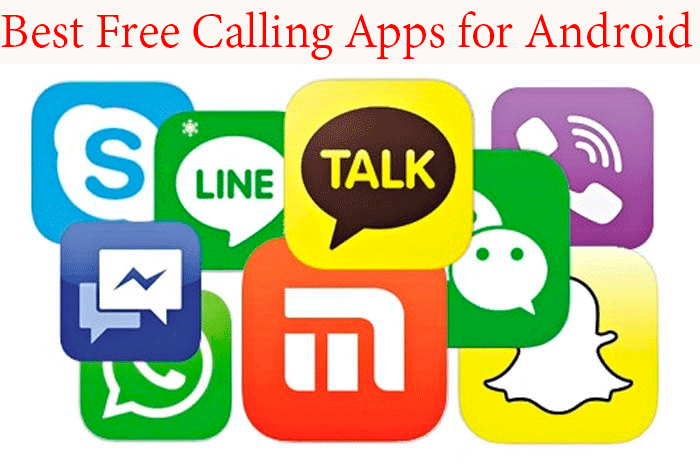 Best Free Calling Apps for Android: Hey Guys, in this Tutorial I will tell you about Top free calling apps for Android, which you can use for make free calls to anyone. 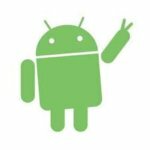 There are many great Android apps available, we was also shared best apps for rooted android, you can check it out. Using Phone calls can cost you Balance, but if you have an Android device then don't worry. There are many good Apps available which can help you to make Free Phone call on your Android device. 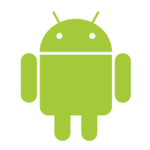 As you already know, Android is famous for it's development, Developers are developed Some free calling apps for Android which works via Internet connection. You can enjoy these calling apps for Android on your Mobile for free. All of these apps are free of use. You just have to sign up in these apps for use them. 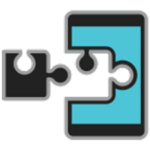 It requires another person to be also installed same app on their Android device. You can download any of the app from below and use it on your Android. These calling apps can Work without any issues if you have fast Internet connection speed. In lower Internet connection also these apps can work but it may work with some errors. Simply try out these apps now from below and enjoy them. WhatsApp is one of the best Android app these days. You can chat with your friends or family members easily with the help of Whatsapp. Now WhatsApp also supports video calling feature. The best thing about WhatsApp is that you can do calling even in low connection like 2G. 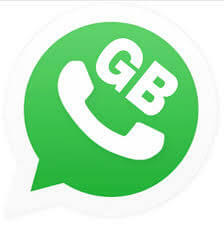 This app can call to any other person if he/she have WhatsApp installed on their Phone. 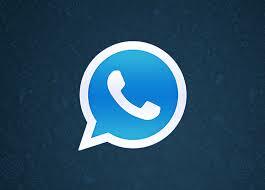 WhatsApp Supports Many Operating System like Windows, Android, Blackberry, iPhone Devices. So Simply download WhatsApp on your device and enjoy free calling right now. Also have a look at How to Record WhatsApp calls for record calls while calling on Whatsapp. Free Calling Even in Lower Internet Connection. Also Support Video Calling Now. No International Charger – Free Call to any Country. Facebook, One of the most popular Website of all time. Almost every person who use Internet, Have registered on Facebook. It's very popular social media website for chat with friends, share status, commenting on other people status and you can do much more things with the help of this Facebook Messenger app. You can also do Video calling with this Awesome app. As you know, If you install Facebook app on your Android device then you have to use Facebook Messenger for chat with your friends. 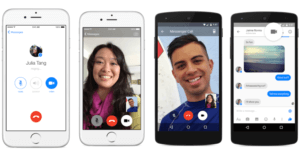 you can do audio/video calling with your friends with this app. Send Stickers with your Friends while Chat. Instantly Call to any Friend Is he/she is online. Imo, One of the trending app for Audio/Video calling app to friends. Imo app is specially Designed for Do Audio/Video calling to friends. You can also chat with your friends while using Imo app on your Device. If you are missing your Loved one, you can do calling to them for free with the help of Working Internet connection. You can also use Imo for pc via Bluestacks. 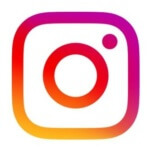 There are many people using IMO here in India Specially for doing video calling with friends, because it works on even very slow Internet Connection. So simply download and Install this IMO app on your Device from below Download link. Supports Video calling even in Lower Internet Connection. Group Chat with Multiple Friends, Send Images, Videos to friends. Nanu is one of the best app for doing free voice calling with your friends. This app can work on many Countries and do voice calling over the Internet. The best Thing about this app is that other person doesn't requires to be install nanu app on their Device. So you can use this app without any kind of trouble. 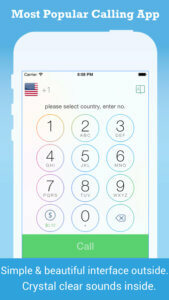 Nanu app can let you dial voice calls to any country at very low price. You can try out this app from below available download URL. This app is like gold, giving quality voice calling for free to everyone. So Simply try this app one on your phone and enjoy it. Other person doesn't needs to Install Nanu app for receive Calls. Move app to SD Card. Enjoy Sone free Credits After Signing Up. Whenever I Read the word Skype, It remembers me Software of Skype which Business Man use on their Mac. Skype is the best software ever which people use on their PC for chat with Clients or friends. Skype have tons of great features which you can enjoy. Anyways, We are talking about best free calling apps for Android in this guide So We will talk about Skype Android app. So you can try out Skype android app on your Android device and enjoy this awesome app for free for doing audio/video calling with others. Group Calling – Add Many Friends on Single Call and Enjoy Conference Call over The Internet for Free. Line is very popular Android app in India. Before some time, Line was Introduced Some refer system, After that This app became Viral over the users in India. 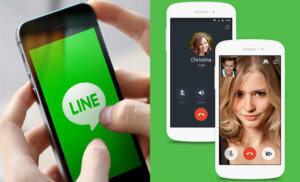 Some people are still using Line app for chat or Calling with friends. Other person also needs to Line app installed on their device for receive phone calls. This app have tons of new and cool stickers, which you can send to your friends and have a great conversation with them. Simply Install this app and enjoy on your Device. You have to sign up/login with your phone number in this app and enjoy it. Make Group calls to Upto 200 People at Once. Share your Status on your Timeline Like Facebook. Also Supports International Calls for Free. Id Changer is the Android app, which helps you to call to any number from any number, I was also posted one tutorial regarding this app, don't forget to check it out. You can use this app for spoof call to any of your Friends. For example you can call to your friend with any number like any other friend's number and have some fun with him. This app is available on Google Play Store, and it's paid calling app. After you Sign up it will give you some Free Points to call as trial purposes. After that you can buy some points and enjoy unlimited calling. Call to anyone with Spoof Number. If you would Like to do High quality voice calling with your friends then you can use this WhatsCall app on your Android. This app gives free credits everyday to call with your friends. If you want to use long calls, then you can buy some points from this awesome app. Whatscall is one of the most trending app these days. If other person also installed WhatsCall app the you can do Unlimited calling without any limitations. Simply download and Install this app for enjoy it. Also have a look at Create WhatsApp account with u.s number. Call to anyone for free, other person doesn't even needs to install Whatscall app for pickup call from your side. Credit feature – for long calling you can purchase credits and enjoy free calling. Yet another one of the best free calling app for Android, which you can use on your Android. This app supports 200+ countries for doing free voice calling. 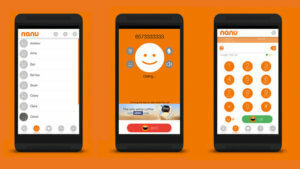 Just like Nanu app, this app also gives Free credits to use for voice calling over the air. Calling rate of this app is very low, as of now in 2017 it costs approx 0.01$/Minute for call to U.S, 0.025$/Minute for calling to India respectively. Once you purchase some credits, you can do voice calling with the help of this app. Also have a look at How to Send Fake location on WhatsApp. You can pay via Google Play Wallet, Paypal etc. This app also have customer care service which is always ready to help you out anytime. FreeTone app is available for Android, for doing free voice call to others. Simply Download this app on your Phone and do voice calling. This app is completely Free to use for call to others. From Top free calling apps list, I liked this app. While calling to other person, it will show your own new private number, which you can select while sign up in this awesome app. If you want to call outside U.S and Canada, Other person also need FreeTone app for free calling, if you purchase credits then other person doesn't needs to install this app. Also have a look at Best recharge apps for Android for earn free recharge and do voice calling from your own network to your friends. Also Support Free Text Messages. Own Private new number for voice calling. 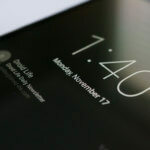 These was top / best free calling apps for Android, Which you should try out on your Android Device. 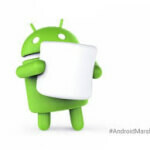 These apps will work on any Android device. You Just need working Internet connection for use these apps on your Android. Let's try out these apps on your Android and enjoy it. If you know any other good app for make free calls on Android, then simply comment below. I will try to help you out. Thanks for visiting this blog Missing Tricks and stay tuned here for more cool stuffs and tricks like this.